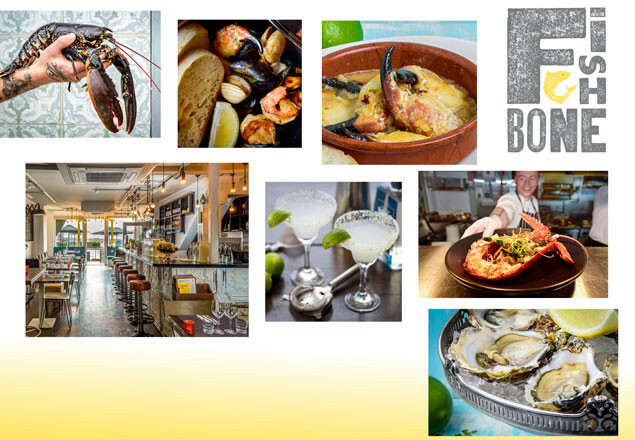 Rewarding Times are delighted to team up with Fishbone Restaurant which opened on the Clontarf’s sea front in July 2016, is headed by the team behind one of the most popular places in North Dublin over the last 13 years, the multiple award-winning Bay Restaurant. Proudly listed in the MICHELIN Guide 2018, Fishbone is the funkiest full-licenced seafood destination in Dublin, located opposite the wooden bridge in Clontarf. Fishbone is a modern Irish seafood restaurant. It's focus centres on celebrating the fruits of our waters, delivering not only the finest seafood but the best from our land. Using the most modern cooking techniques to extract and create flavours to the highest potential combined with the simplest cooking methods allowing our culinary team to cook individual ingredient in their own juices are some of our main aims. With the Fishbone’s charcoal grill as well as the plancha grill, an endless array of dishes, from the most traditional to the most sophisticated are being expertly prepared 7 days a week. Our emphasis being on sustainability, championing local produce and continuing the ethos of delivering nutritious, flavoursome food at affordable prices with a casual atmosphere, aiming to create a very relaxed dining experience. Fishbone restaurant takes pride in using only the best quality monounsaturated oils. Located opposite the iconic wooden bridge in Clontarf, this seaside dining retreat has uninterrupted sea views that can be enjoyed from the inside via its glass fronted windows on two different floors and for when the temperatures rise, outside on its fresh sea aired summer terrace. At Fishbone you’re able to choose from our innovative cocktail menu, something from our up-to-date wine list or the very carefully chosen selection of craft beers. Take Fishbone home available.